Salty Dog rose from the sleazy bowels of LA's Sunset Strip in 1986. Their short bottle rocket rise to fame came with 1990's well-received Every Dog Has Its Day. Efforts to record a second album floundered due to the rise of grunge and some band members getting involved in drugs, a bad combination. 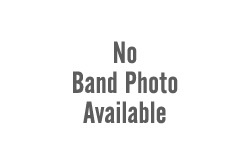 Nevertheless, Salty Dog regrouped with a new singer in Darrel Beach, but the album never surfaced. Now Escape Music gathers these songs together for the appropriately titled, Lost Treasure. While Salty Dog ascended during the glam and sleaze years of Eighties hard rock, they didn't quite fit the mold. Their spin on the genre turned on blending hard and heavy rock, reminiscent of the Seventies, with a healthy blues influence. 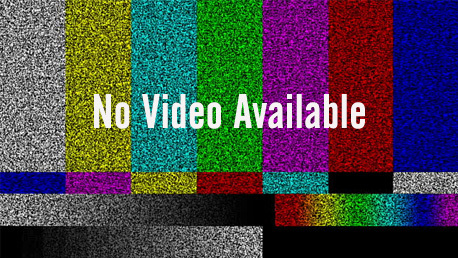 It's even more developed in the Lost Treasure recordings. With guitarist Pete Reveen at the helm you'll not only hear strong and sharp riffs, but a distinctive blues groove to his guitar lines. These are apparent and generous in songs like All That Glitters, Walk Softly, Old Fashioned Love, and When Fools Rush In, a slow churning blues tune. Did I mention Reveen also plays banjo? Yeah, which makes Honeysuckle Wind one of better and most interesting songs here. The arrangements crafts together both banjo and blues guitar for something that can only be described as country blues rock. The wild card in the mix is vocalist Darrel Beach, who has a style that veers between gruff and screamo. If anything, he's hard not to notice. According to one Internet source, SleazeRoxx.com, due to more drug related issues, Beach never worked out and Salty Dog soon disbanded. Suffice to say, the Salty Dog tale is a sad one, a band with talent and promise which eventually succumbs to misfortune. Nevertheless, as a final testament, Salty Dog's Lost Treasure is a fine album of their heavily blues infused hard rock. Recommended. The Salty Dog tale is a sad one, a band with talent and promise which eventually succumbs to misfortune. 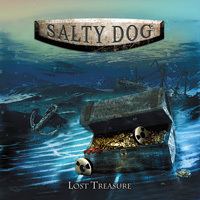 Nevertheless, as a final testament, Salty Dog's Lost Treasure is a fine album of their heavily blues infused hard rock. Recommended.